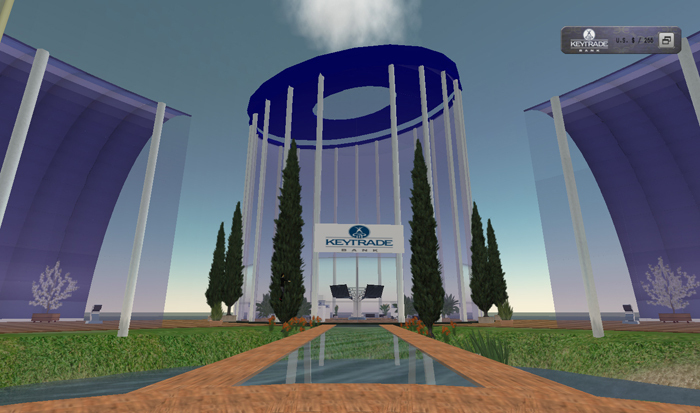 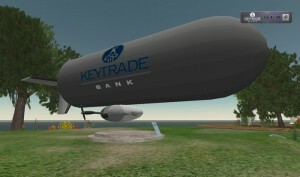 The bluepill GROUP brings KEYTRADE BANK, the market leader in online trading in Belgium, to Second Life! 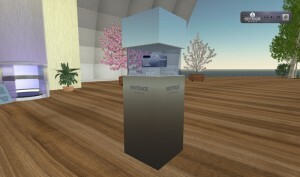 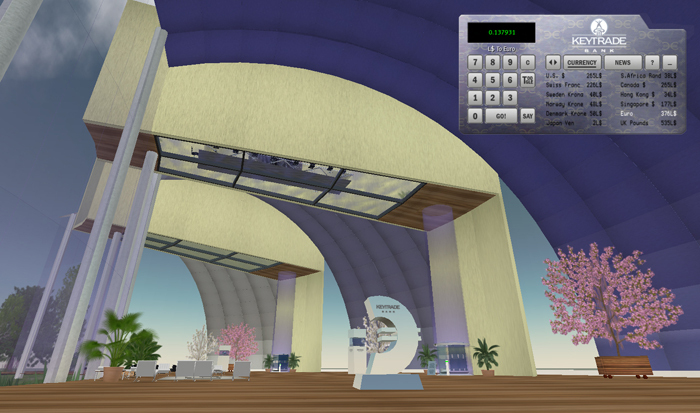 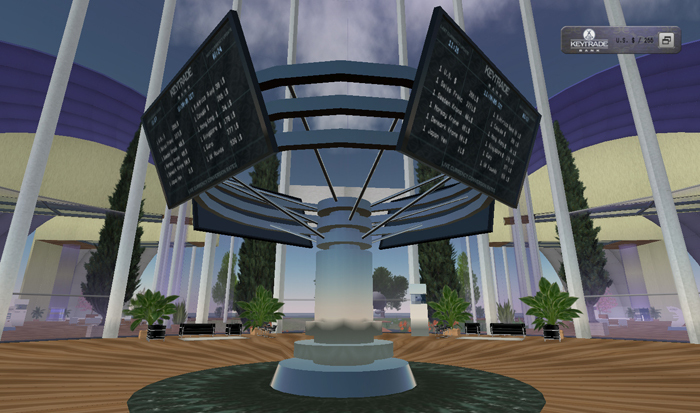 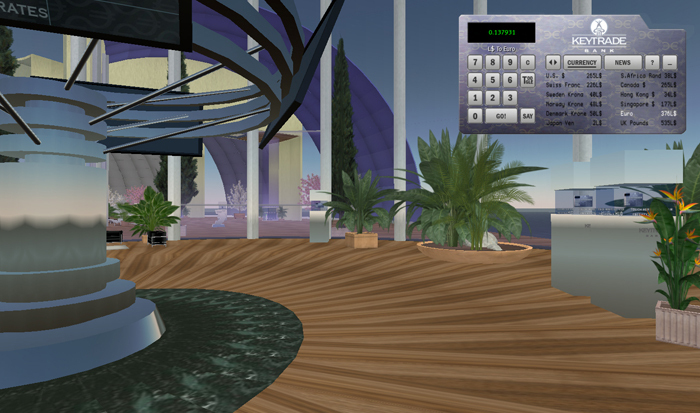 As from today, real time currency conversion rates and real time financial NEWS are available in Second Life! 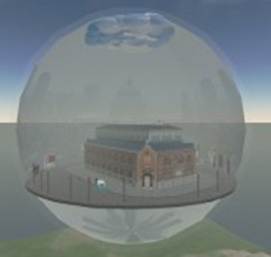 In phase one of this multi-phase strategy, the bluepill GROUP conceptualised and implemented a Second Life Island that is home to a representative KEYTRADE BANK building but most of all the home base of 3 innovative value adding financial information services for Second Life Residents! 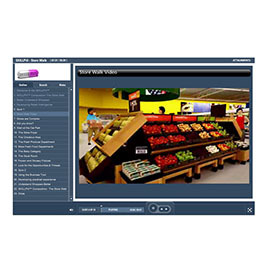 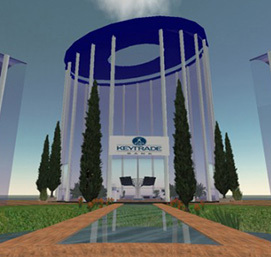 The KEYTRADE AND DOW JONES NEWSWIRES concept, realized in partnership with Emakina, uses one more time 3 core elements, conceptionalized and implemented by the bluepill GROUP, that provide the Second Life Residents with a dynamic and unique immersive experience with real user benefits that truly reflect the KEYTRADE BANK Real Life activities. 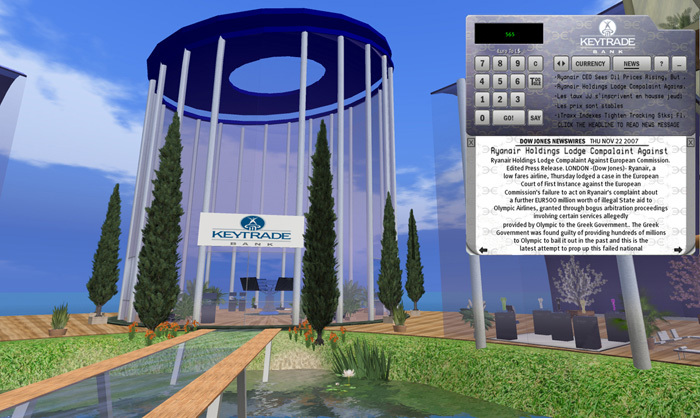 1 – Real Time Currency Conversion rates So “stay tuned” on the latest Linden $ conversion rates and watch in real time currency fluctuations of the Linden $ in relation to Euro, Yen, British Pound, US $ and 8 more major currencies on 4 large scale screens. 2 – Currency Conversion HUD using real time currency rates The KEYTRADE currency conversion HUD allows you to convert 12 different currencies into Linden $. You can simply enter any amount you wish to convert in the HUD, select the currency you would like to convert to and the HUD provides you with the exact amount in Linden $ using the latest currency exchange figures! 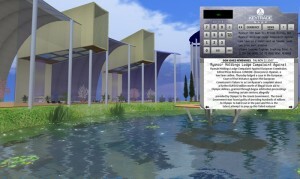 All HUD currency conversion rates are updated in real time! 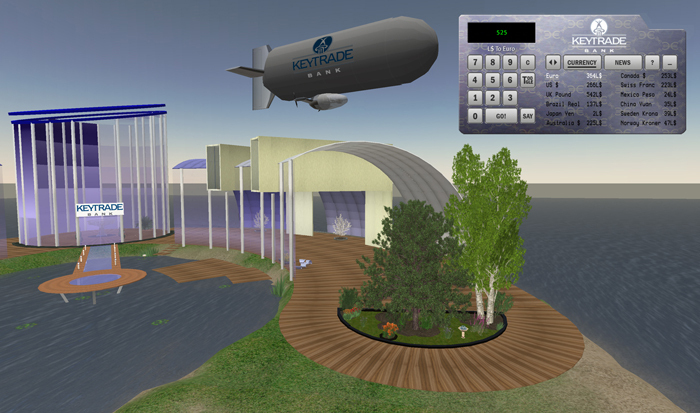 3 – Real Time Financial News from DOW JONES NEWSWIRES To make sure you “stay tuned” about financial real world information during your virtual exploration in Second Life the KEYTRADE HUD offers real time financial News from the DOW JONES NEWSWIRES. 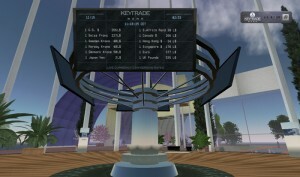 Read financial Highlights in your KEYTRADE HUD as they occur! 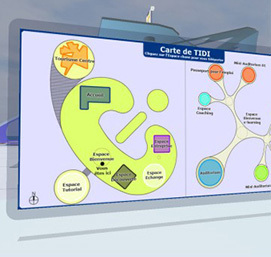 in French and English.